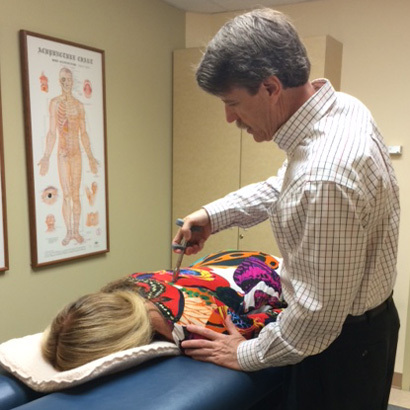 Dr. Fraser uses the low-force Activator Method chiropractic technique. This gentle but effective chiropractic technique is widely researched, and is used by doctors around the world. It’s extremely safe, and does not employ high velocity adjusting maneuvers, so no twisting or “popping” is done. Dr. Fraser holds an advanced proficiency rating, which required extensive training and testing to receive, and continued education to maintain. The Activator Method is particularly effective at treating spinal pain, extremity pain (shoulder, knee, elbow, ankle), headaches, and injuries resulting from motor vehicle accidents. Dr. Fraser is interested in helping patients where other types of healthcare treatments have failed to produce results. If you have a health challenge, please contact Mary to make an appointment at 303-422-6301 and visit our contact page for locations.